Visiting iCollector.com to see what is up for auction is a great way to spend some time on New Year’s Day. Dakota Plains Auction is pleased to announce they are broadcasting their January 1st auction live on iCollector.com with fully interactive live internet bidding. 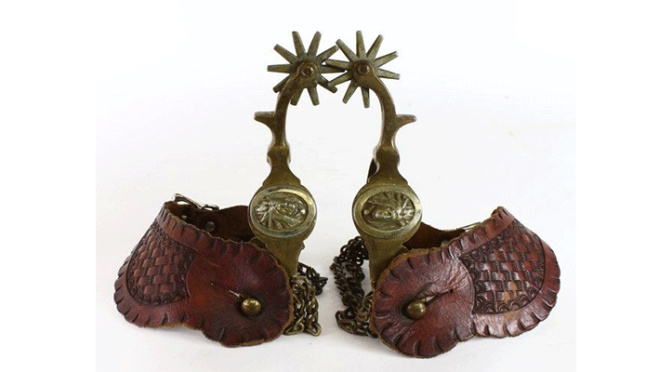 Their New Years’ Day Antique and Firearm Auction has almost 600 lots in a wide selection of Western antiques and collectibles, as well as a great list of firearms. This auction includes firearms, antique furniture, spurs, saddles, bits, bronzes, toys, artwork and slot machines. In addition, there is native beadwork, Navajo potter, knives, rugs, and much more. Bidding is available using online and mobile bidding from The Live Auction Group, and offers a full audio and video feed from the auction. Dakota Plains is a full service auction house owned and operated by Rick and Margi Olesen. They have built their business to specialize in offering online bidding, and have earned the trust of their buyers and consigners with hard work, dedication, honesty, and quality offerings. 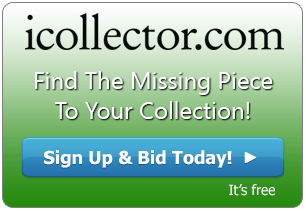 In over 5 years of hosting their auctions via iCollector.com they have operated dozens of auctions and worked with thousands of bidders. They have built an outstanding reputation and continue to be excited and passionate about the auction business. Firearms collectors will have an enjoyable day at the auction. In the middle of the sale is a stand out firearm at Lot 272A. This is a beautiful Colt44-40 cal revolver with a black powder frame. This has a 5 ½” barrel, a nickel finish, and pearl grips. This is in good condition and has a very competitive starting bid of only 2500 USD. To make this even easier to bid on, Dakota Plains has put up 25 photos of this firearm from many angles and positions to give the best possible outlook for bidders. Visit the online catalog on iCollector.com to see all the photos and a detailed description. New Years’ day is always a great day to relax at home and enjoy the first day of the year. Take in the action of a live auction in complete comfort and add to collections or just enjoy watching the full experience. Dakota Plains is broadcasting beginning at 9:30 Mountain Time from South Dakota. Bids are being taken now and will be placed into the sale on auction day. Registration is a secure and simple process using an email address, Facebook or Google Plus account, or a current iCollector.com bidder account.